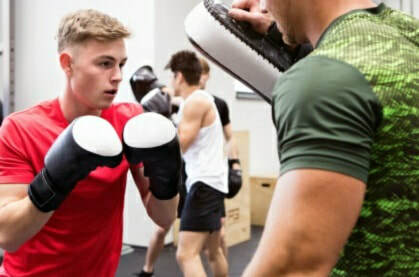 Boxing circuits is a high intensity, fat burning Boxing/circuit class. With mixed abilities from beginner to intermediate you will get out what you put in. Using boxing combinations with the pads, with varied exercises thrown in between whilst working round the circuit to time.